Magnetic therapy can be as easy as wearing earrings! 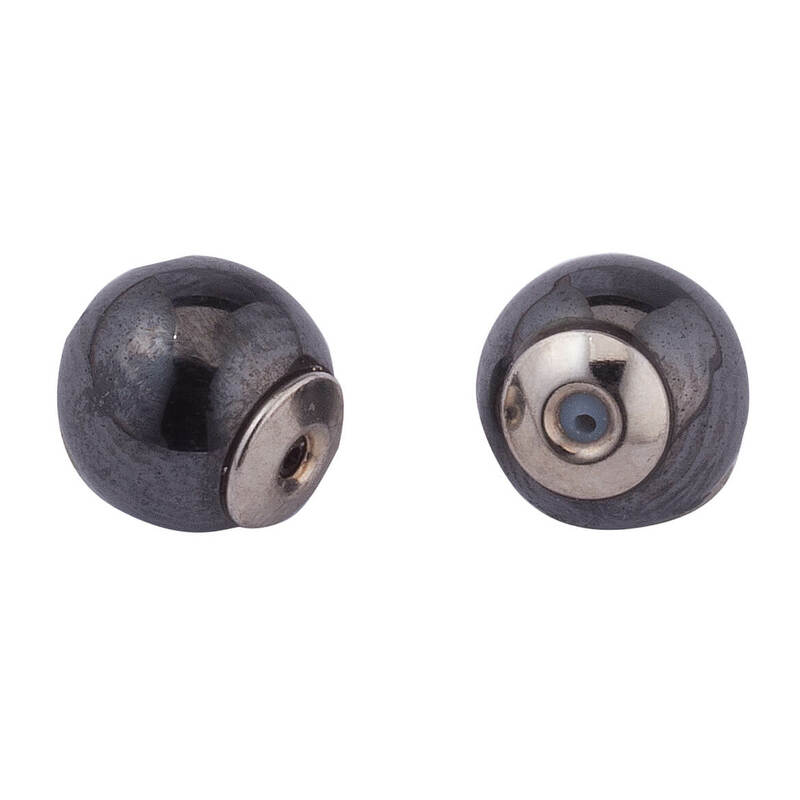 Universal magnetic earring backs are designed to fit on most post earrings to help promote discreet, virtually effortless magnetic energy and wellness. Magnetic therapy is believed by many to encourage blood circulation to help deliver oxygen and nutrients to tissues for health and healing. Includes 1 pair of 1/4″ dia. backs. 95% copper/5% magnet. Do not use magnets with a pacemaker, internal defibrillator, electrical implants or while pregnant. 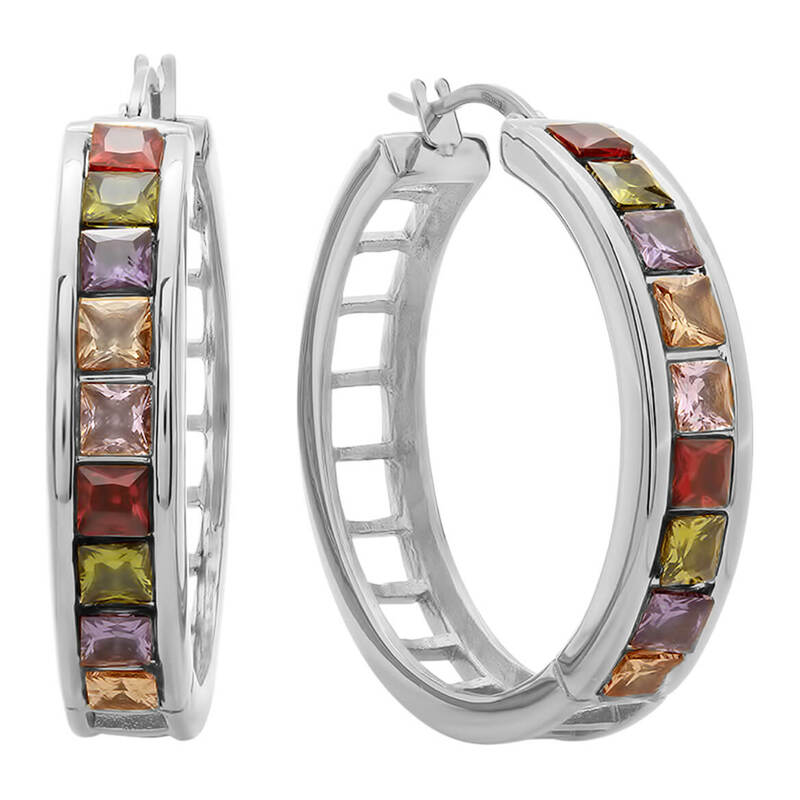 Vibrant multi-colored hoop earrings with 9 different stones in each hoop are the perfect complement to any outfit. Made of silver-plated stainless steel, a quality choice in jewelry design because of its beautifully polished finish, durability, and resistance to rust, oxidation and discoloration, even in humidity. Bar closure. Polish metal earrings with a soft, dry cloth. Allow 2–3 weeks for delivery. 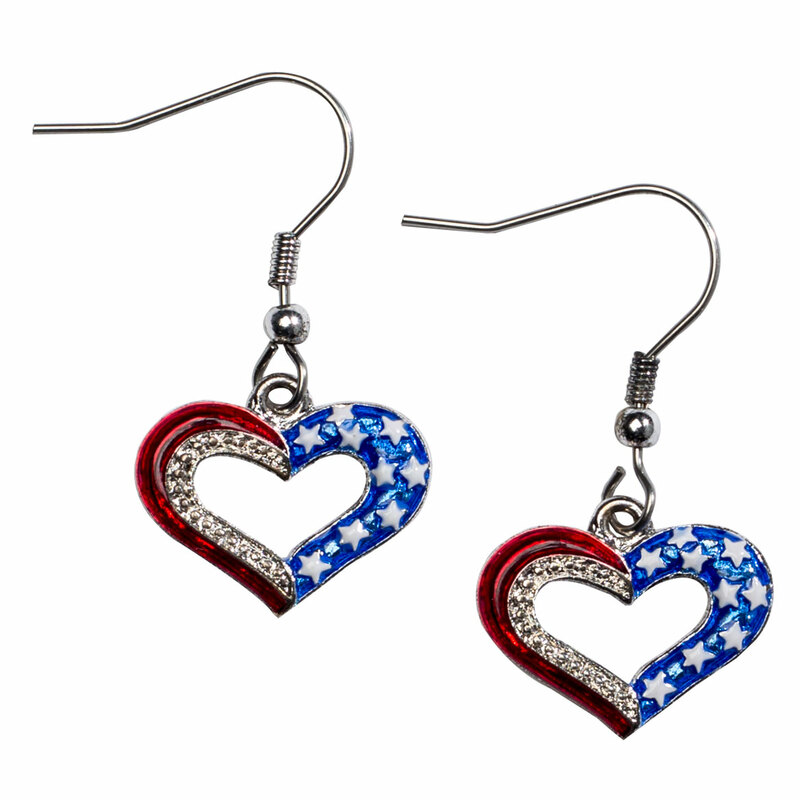 Sparkling with patriotic spirit, these shimmering patriotic earrings celebrate your love for America. Bright stars and stripes of red, white and blue catch the light, while elegant rhinestone detail catches the light for a bit of extra sparkle. The 1/2″ long x 3/4″ wide heart earrings dangle from classic French wires, hanging 1 1/2″ long overall. Metal and enamel. These red faux pearl ear jacket earrings with their silver ball posts are sure to dress up any outfit. Made with stainless steel, a quality choice in jewelry design because of its beautifully polished finish, durability, and resistance to rust, oxidation and discoloration, even in humidity. 1″ drop. Post back. Polish these faux pearl earrings with a soft, dry cloth. Allow 2–3 weeks for delivery. 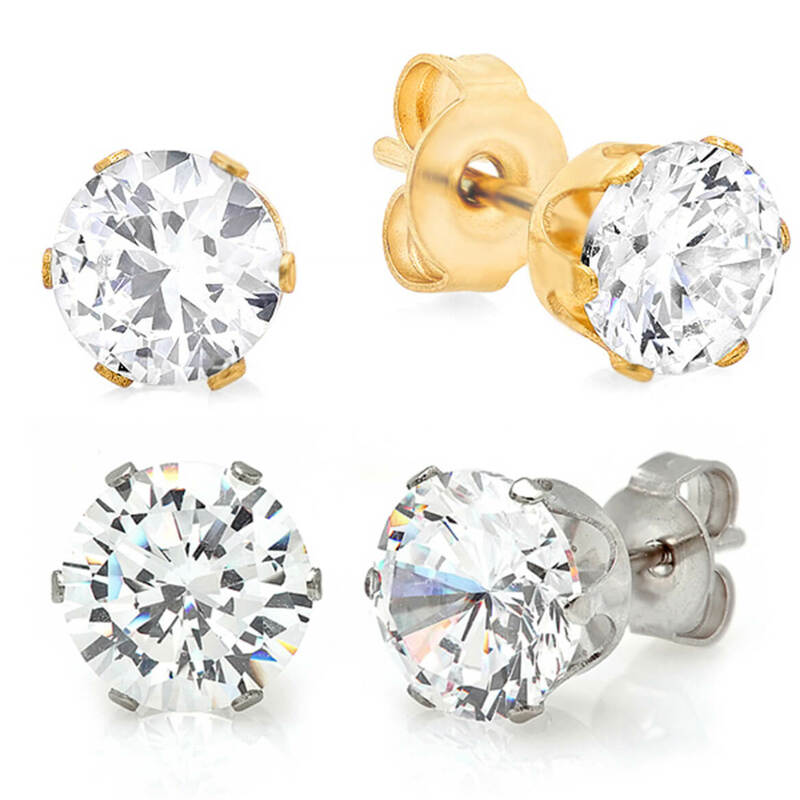 Set of 3 CZ earrings includes an earring style for every outfit and occasion in beautiful cubic zirconia: simple studs, huggers and 1” dia. hoops with bar closure. Perfect for double-pierced ears and a great value! Made of stainless steel, a quality choice in jewelry design because of its beautifully polished finish, durability, and resistance to rust, oxidation and discoloration, even in humidity. Choose from silvertone or 18k gold-plated steel to complement any wardrobe. Polish earring set with a soft, dry cloth. Allow 2–3 weeks for delivery. 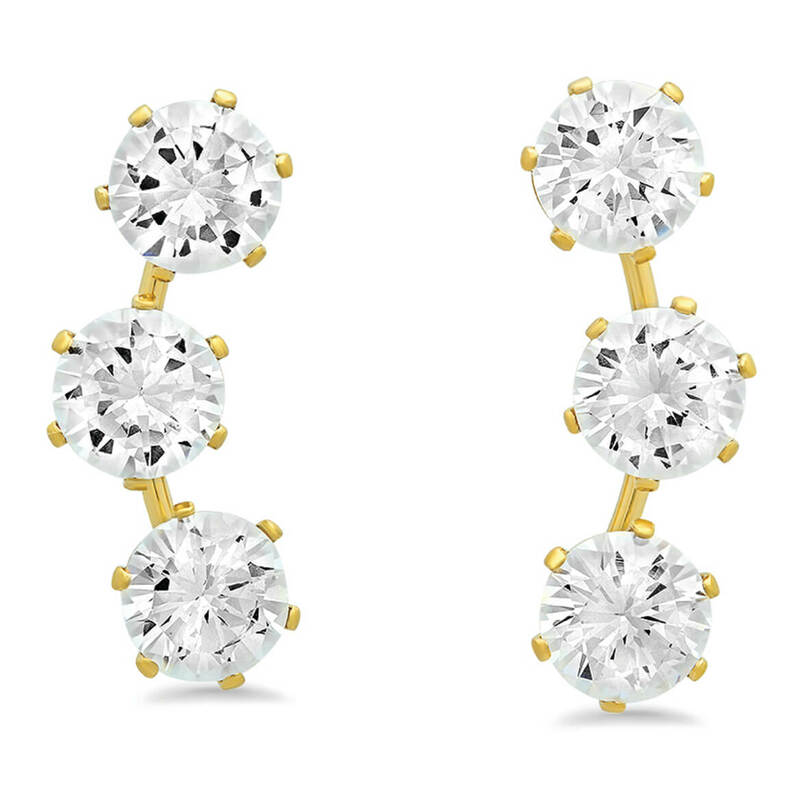 Instead of dropping down, these stylish CZ ear climber earrings rise up, adding 3-stone brilliance along each lobe. Made of stainless steel, a quality choice in jewelry design because of its beautifully polished finish, durability, and resistance to rust, oxidation and discoloration, even in humidity. Choose from silvertone or 18k gold-plated steel to complement any wardrobe. Cubic zirconia earrings measure 7/8” L each. Polish with a soft, dry cloth. 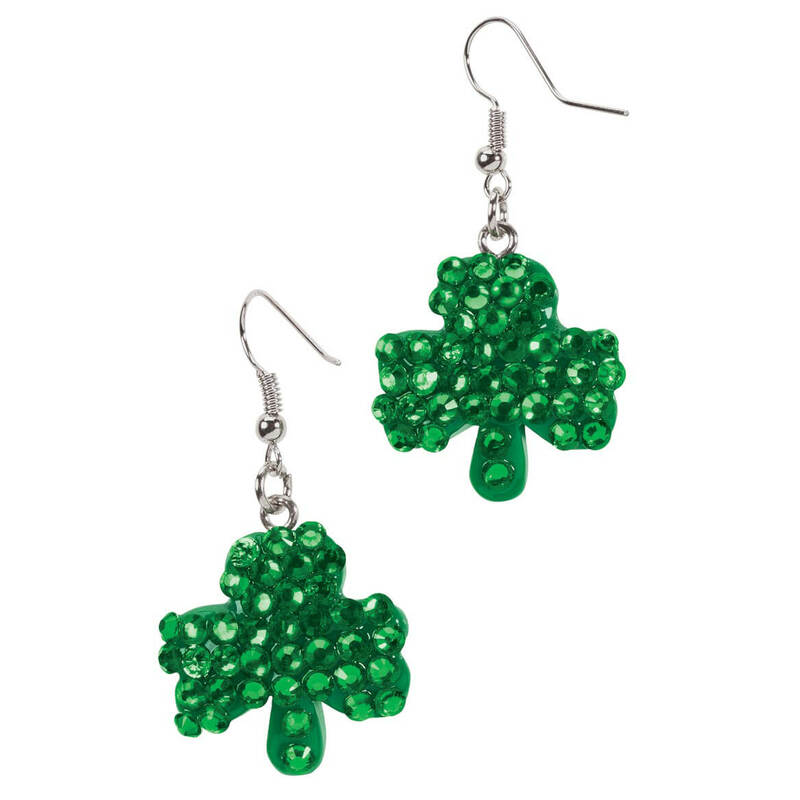 Sparkle with St. Patrick’s Day bling earrings that dazzle like pure Irish magic! Whether glamming it up on March 17 or loving the bling all year, this pair of shimmering shamrock earrings is festive and fun, making anyone feel Irish. The 1″ long shamrocks feature faceted polyresin/acrylic beads, dangling from silvertone zinc ear wires. 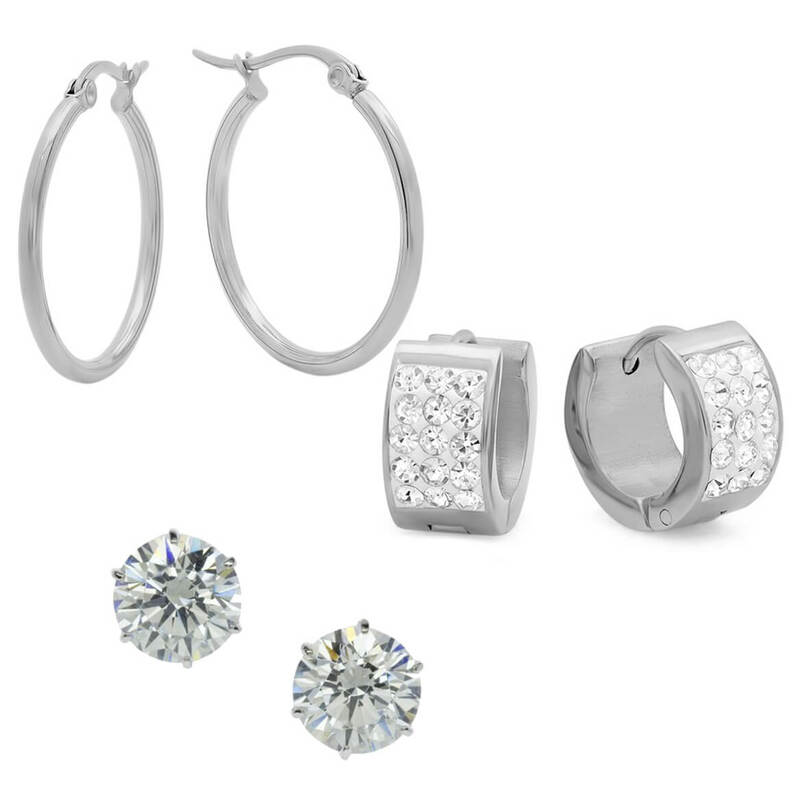 Swarovski crystals are the secret to the striking brilliance of these Swarovski Elements hoop earrings. 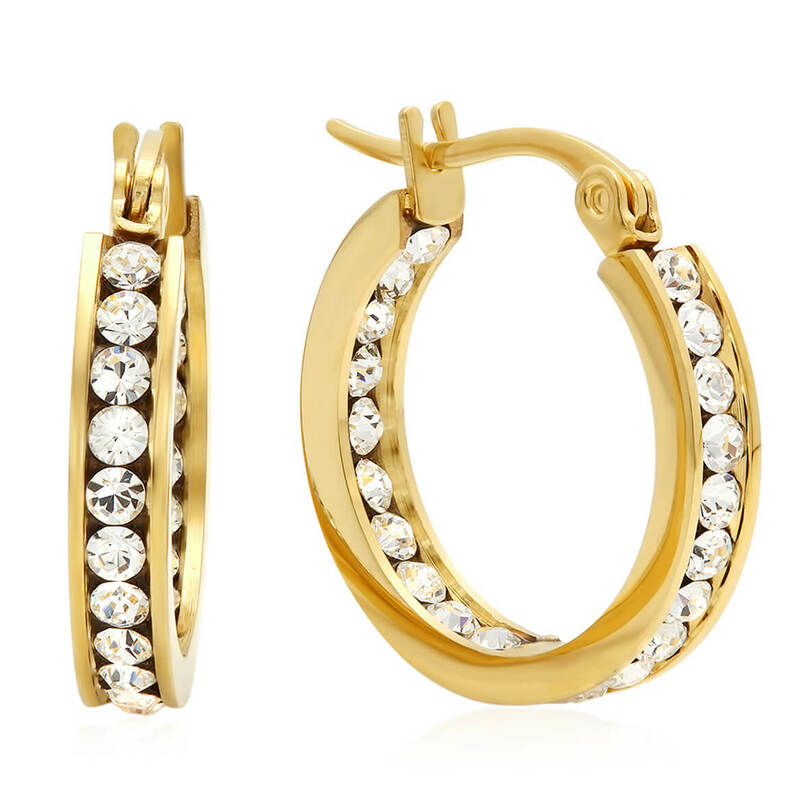 Shining hoops are accented with a sparkling row of clear stones. Made from stainless steel, a quality choice in jewelry design because of its beautifully polished finish, durability, and resistance to rust, oxidation and discoloration, even in humidity. Choose from silvertone, 18k gold-plated steel or 18k rose gold-plated steel to complement any wardrobe. 3/4” dia. hoops with bar closure. Polish metal earrings with a soft, dry cloth. Allow 2–3 weeks for delivery. Sparkling with brilliant, light-catching crystals, these gorgeous diamond-look holiday wreath earrings offer holiday style that’s easy to wear, care for … and afford! Crafted of hypoallergenic stainless steel, they won’t scratch, tarnish, irritate sensitive skin or ever need polishing! Specify finish: rose gold, gold or silver. Gold and rose gold holiday earrings are 18K gold-plated stainless steel; silver is stainless steel. Christmas jewelry measures 3/4″ dia. with post backs.